Living the Dream: Good thing we're not going to Punta Cana for a tan! Good thing we're not going to Punta Cana for a tan! 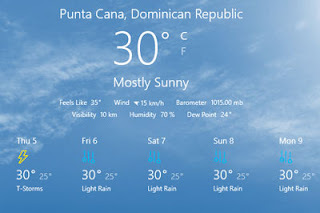 Beautiful day in Punta Cana today -- unfortunately nothing but thunderstorms and rain for next week when we're there. That's OK, we're not going to the Caribbean for a tan, are we?! 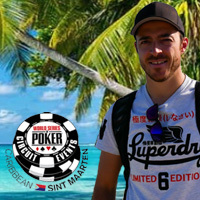 lol Luckily the weather forecast for the casino at the Hard Rock is "clear and dry" during the CPT Punta Cana tournament.